Heat oil in a large heavy skillet or Dutch oven. In a bowl, combine cornmeal, flour and seasonings. 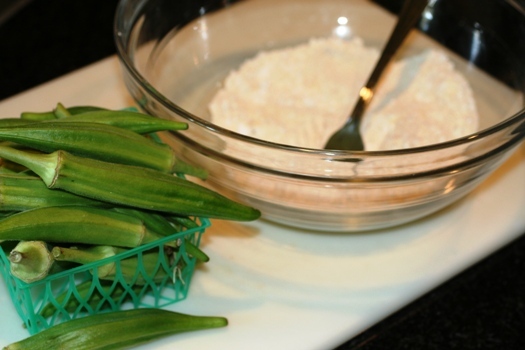 Dip okra in buttermilk, then dredge in cornmeal mixture to coat. 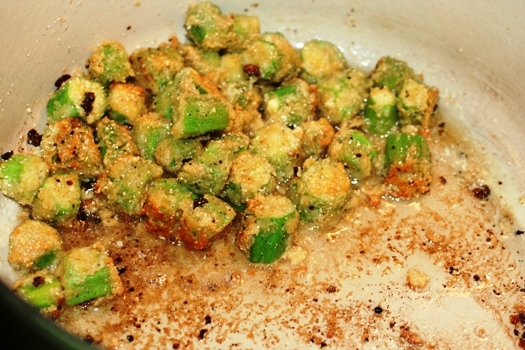 Add okra to pan and cook until golden brown, in batches. 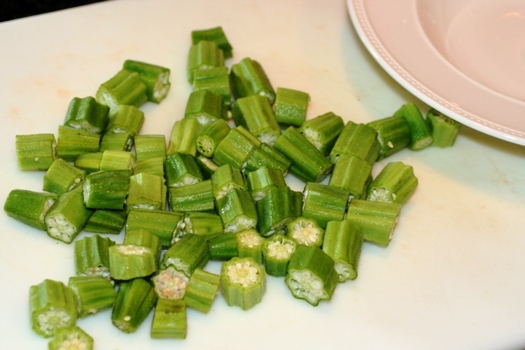 Remove okra from pan and place on paper towel. 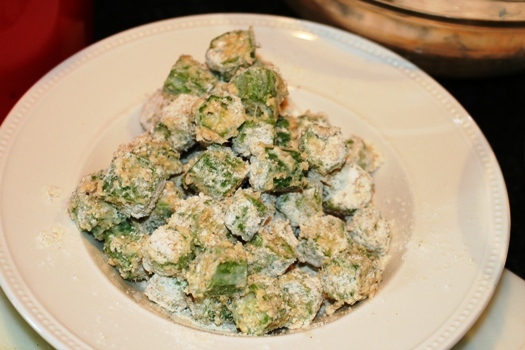 Like grandma used to make!! 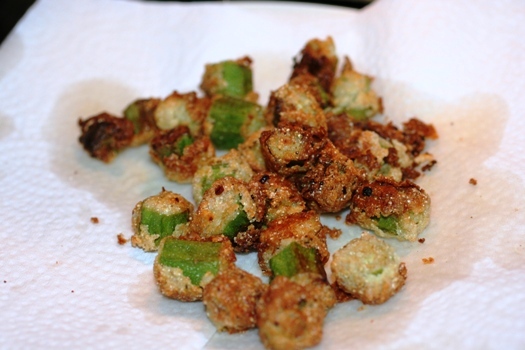 I made “fried” okra the night before but I made a healthy version for the first time. I dipped it in egg and milk then cornmeal seasoned with a little salt, pepper and red pepper. Baked it in the oven on 375 degrees for 30 minutes. 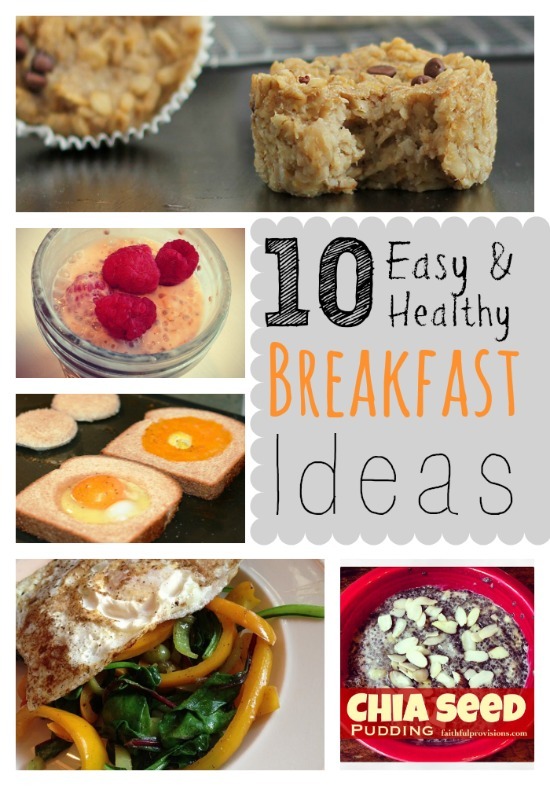 It was delicious and NO OIL… worked out great! It was very crunch, which I was afraid it would not be. Yum! Sounds great! I’ll have to try it!